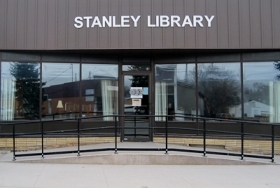 Be a Back-To-School Reading Rock Star at the Stanley Public Library! Students in grades K-12 are invited to check out a book, read, rate and return their library book August 1-29 to be entered into a drawing for prizes. The winners will be chosen on August 31. The contest is sponsored by the Friends of the Library.